Chelsea have been linked with potentially taking Nathan Ake back to Stamford Bridge amid speculation of interest from Napoli and Tottenham too. The 24-year-old struggled to make his mark at Chelsea between 2012 and 2017, making just 14 appearances for the club. Following an impressive loan spell at Bournemouth initially, the Dutch international was eventually signed by the club on a permanent basis and has since gone on to establish himself as a key figure for Eddie Howe’s side. Ake has made 72 appearances over the last two seasons, but speculation over his future has remerged with a string of clubs said to be interested. According to De Telegraaf, it stems from the possibility that Manchester United could sign Kalidou Koulibaly from Napoli this summer, in which case the Italian giants would target Ake to fill that void in their defence. However, it’s specifically added that both Chelsea and Tottenham are also interested in the defensive ace, but after selling him to Bournemouth for €23m in 2017, the Blues have a touted buy-back clause in their deal which could see him return for over €45m. 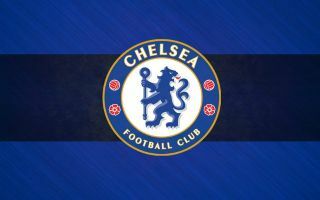 Naturally, much hinges on Chelsea’s appeal against their transfer ban which applies to the next two windows, and so that would prevent them from making additions to Maurizio Sarri’s squad. Long-term defensive reinforcements would certainly be welcomed by the Italian tactician though, given his side have conceded 33 goals in 30 league outings so far this season, and the likes of Gary Cahill and David Luiz are on expiring contracts. Nevertheless, time will tell if Bournemouth are willing to listen to offers, as having worked hard on helping Ake develop his game and improve into the player he is now, they would be left bitterly disappointed if he were to leave in favour of a second chance at Chelsea.